Find out how botulism develops, and how to recognize it. 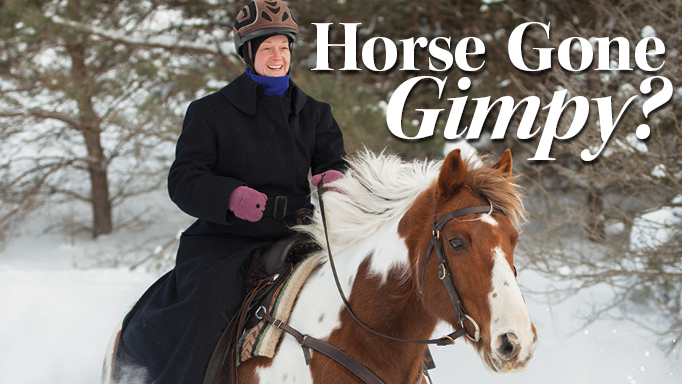 You may have heard that horses can get botulism from eating haylage. 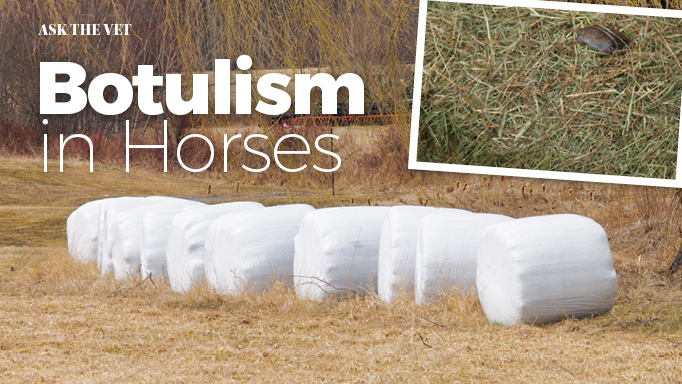 Here we explain how haylage is made, how botulism develops, and how to recognize it in your horse. Haylage is hay-crop silage, a low-dust, high-moisture alternative to regular baled hay. It is a popular feeding method in countries such as Ireland and the UK where the weather doesn’t always allow for appropriate drying of cut hay before baling. The young plants are cut, partially wilted, and placed in a large, tight-fitting plastic bag to decrease exposure to the air. The plants then use the remaining oxygen in the plastic bag and undergo partial fermentation, which lowers the pH of the contents. This lowered pH prevents any bacterial or fungal growth within the bale. Once the oxygen in the plastic is used up, the pH remains stable and the haylage remains safe to feed. If the bale is packaged improperly, however, or the plastic covering becomes damaged, secondary fermentation may occur and spoil the haylage. Other factors that could cause the fermentation process to be incomplete or not completed correctly are size of the bales and a lower moisture content of the plants inside. Large bales are more at risk for botulism, as they often have an insufficient balance of proper nutrients and oxygen available. Therefore, lactic acid production needed to find a stable pH inside the plastic coating is inadequate and an improper pH is obtained. A pH below 4.5 is necessary to prevent the growth of botulism bacterium Clostriduim botulinum, which is a spore-forming, anaerobic bacteria that grows in the absence of oxygen and is found worldwide. It is commonly present in soil and decaying animal carcasses, and occurs less often in decaying plant material. These botulism bacteria produce a toxin that attacks the nervous system and can cause flaccid paralysis by blocking the communication between nerves and muscles. Essentially, the bacteria prevent the nerve fibres from telling muscles to contract, leaving the muscles relaxed and the horse unable to move. Unfortunately, botulism is difficult to treat. There is an antitoxin available (in Canada, the BotVax® B vaccine) and most referral centers keep it in stock, but it is pricey and must be administered in three doses, then annually thereafter. 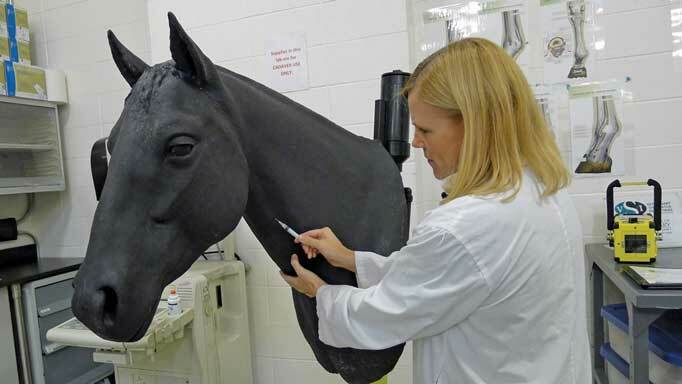 Horses that are affected have the best chance of survival if the infection is caught and treated early in the course of the disease. Those that aren’t diagnosed until later on have a very slim chance of survival, even with the antitoxin and extensive supportive care. Vaccination is strongly recommended if you, or the farm where you board, choose to feed haylage. 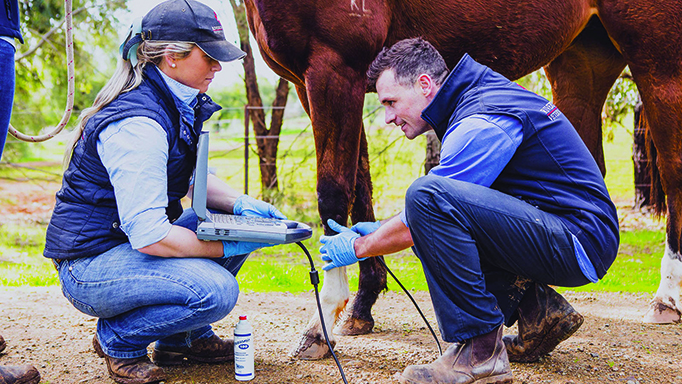 Thankfully, even though Clostridium botulinum is present in the environment, chances of your horse becoming infected from the bacteria are slim. If you have any concerns that your horse may be exposed to botulism bacteria, speak to your veterinarian immediately about options to keep him or her healthy. 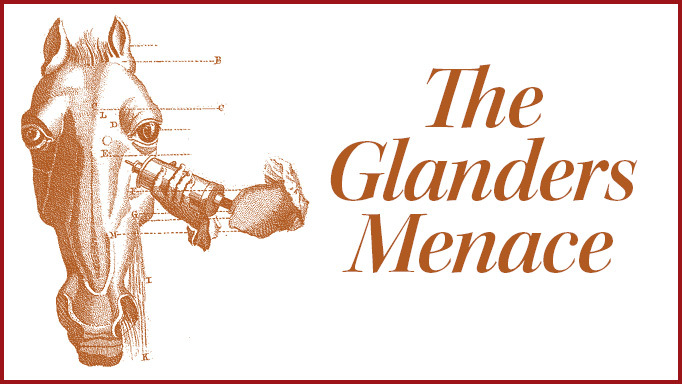 This deadly and tenacious multi-species disease continues to pop up around the planet.